The wrapping paper has finally settled, family has been seen, and all the food on this side of the equator has been eaten. I find myself with a pleasant two week stretch with a glorious amount of nothing to do. Now, we all know that the best way to fill time is to go biking, so I’ve been hitting up my home trails as much as I can. At first I was too distracted by the amazing trails that I got to rediscover, but the novelty started wearing off and I had time to get lost in my thoughts. I started to reflect on the amazing mountain bike season that now lay behind me. I realized that there were a ton of things different about riding the home trails. Since when was I able to rail that one corner and actually come out with some speed? I actually stopped on the trail to try and recall how that was possible. It came to me with a flash of lightning and the memory of my first collegiate mountain bike race at China Peak. After the short nine hour drive from Humboldt and arriving to our “campground” (parking lot) at 2:00am I awoke the next morning to brakes (I won’t mention what brand) that were basically useless due to the cold. Quickly, I borrowed an extra pair of brakes from one of my teammates and it was off to the races. My teammates Derek Roelle and Tyler Green helping me switch brakes. That weekend I took 4th in the C category for both my first downhill race and my first Super D race. A couple of 4th places plus a crazy night of lightning and thunder definitely made that weekend go down in my memory banks. After the poor performance of my former brakes I went straight to Revolution Bicycle Repair in Arcata and had them install some shiny new Shimano XT brakes and new rotors. I used the new brakes all season and they have really helped improve my cornering and bike handling which became especially apparent when I got back to my home trails. 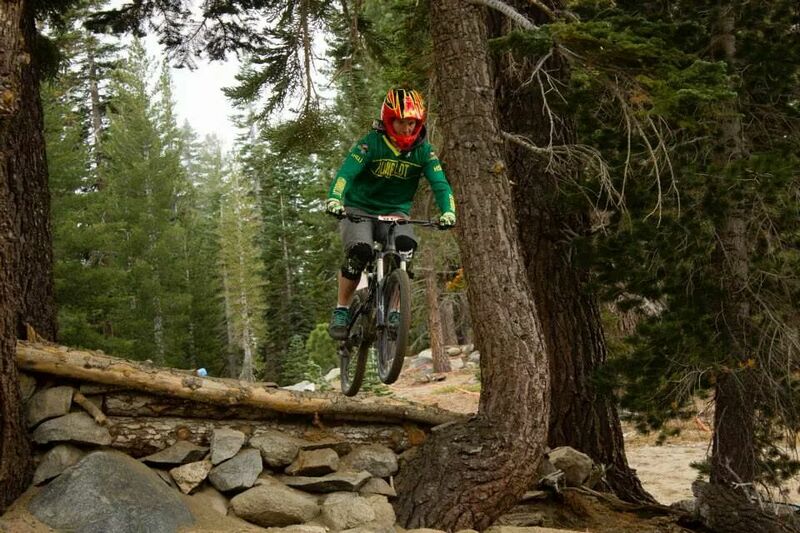 Overcoming my fears of broken collar bones and sending the drop on the dual slalom course at Reno. Another thing I noticed while riding here at home is that I’m hitting trail obstacles that I never have before. No I don’t mean people. But seriously, I noticed that since last time riding at home I have become much more daring and instead of going around the big rock with a drop on the other side I just plow right over it, more confident than before in my abilities to roll out the other side. The race at Sky Tavern hosted by UNR played a large role in boosting my confidence. Humboldt State Cycling sent its biggest contingent to Sky Tavern this year and even though I only raced one race, I learned a thing or two about air time at Sky Tavern. 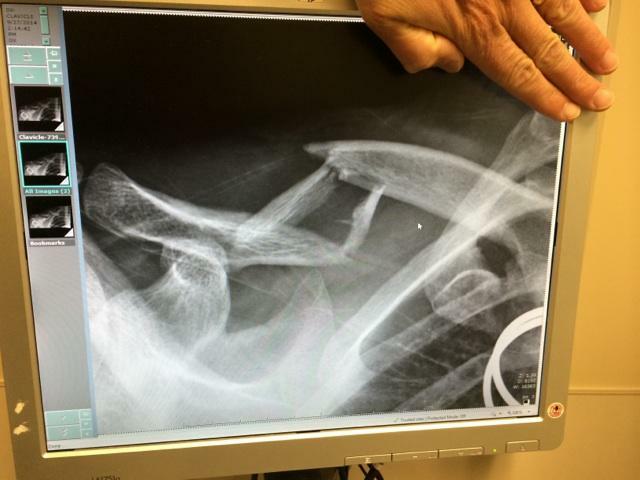 One of my fellow teammates, Marshall, demonstrated the fragility of the human body with his “small” crash on the dual slalom course, in which he broke his collar bone catching some air off the drop on the course. It goes to show how even an experienced rider can make mistakes sometimes. Another thing the race at Sky Tavern taught me was that I am able to overcome my fears when it comes to jumping and air time. Often I am better and can successfully conquer many more challenges than I think I can if I just attempt them. As the season progressed I improved my mountain bike skills and made new, quality, friends. The experiences we shared and the places we got to ride were all amazing. This semester I was intimately intertwined with the planning and execution that went into putting on our very own Humboldt State mountain bike race. After the work that we put into the race, I was very excited to see a large turnout from other schools, even though they had to make the long drive to Humboldt. It was also very satisfying to be able to share our local trails with other teams. Everybody seemed to enjoy the weekend and our hard work paid off. Finish of the HSU super D.
Looking back from the top of my home trails you can see far to the north up the valley towards Humboldt, a short four hour drive away, and this break as I looked back at Humboldt from the top of my trails, I was happy. This season has brought me new skills, new bike parts, and the best friends a guy could ask for. I already miss the WCCC 2014 collegiate mountain bike season, and as I slowly realize that road season is about to pounce on us I miss it even more. A common joke between Western Collegiate Cycling Conference riders is how many “C”s are there after the acronym? And hence, 2015 wccccccccccccccc mountain bike season can’t come soon enough. Signing off, the Chainsaw Bro, from Humboldt State Cycling, ride it out. and a video from each of the races at our home race! 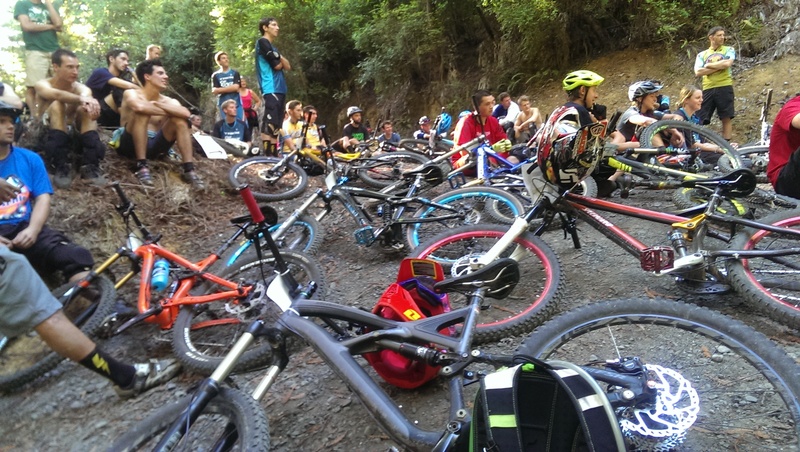 This entry was posted in HSU Cycling Club, Mountain Bike Season 2014. Bookmark the permalink.